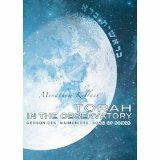 Menachem Kellner is one of the most knowledgeable scholars of Maimonides and Gersonides, the author of many books and articles about them and philosophy generally, and his new book is a welcome addition to understanding these sages. Gersonides (1288-1344) is known to the Jewish rabbinical world as Ralbag, an acronym for his name Rabbi Levi ben Gershom. He wrote many books, including ground-breaking works on biblical exegesis, philosophy, astronomy, astrology, geometry, logic, and Jewish law. Close to nothing is known about him other than what can be gleaned from his writings. Although Gersonides was one of the great thinkers of Judaism, like Abraham ibn Ezra (1089-1164) and Moses Maimonides (1138-1204), he had ideas that are unlike those of mainstream Judaism. One can call it a joke of history that turned ibn Ezra and Gersonides into men who the average Jew considers orthodox thinkers. The commentaries of both of them were placed in the first printed edition of the rabbinical Bible by its publisher, a non-Jew, and his associate, an apostate Jew. Seeing their commentary in the Bible alongside traditional commentators, the average Jew is convinced that they are expressing conventional Jewish views. Many rabbinical Bibles still include their commentaries. Gersonides sought to explain the Bible’s plain meaning. He rejected the midrashic approach. Midrash contains good homiletical lessons that are built upon the Torah text but are not even hinted in its words. This rejection of Midrash is anathema to many in today’s Jewish world, but parallels Maimonides’ strong statement that he who accepts the Midrash literally is a fool. 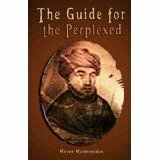 Gersonides agreed with many other, but not all of Maimonides’ opinions. Like Maimonides – and others such as Saadiah Gaon and Abraham ibn Ezra – Gersonides was convinced that people should interpret Torah using their intelligence. Thus, if a biblical statement is contradicted by science, the statement should be understood figuratively, as a metaphor or parable. Like Maimonides and ibn Ezra, he felt that God knows the laws of nature and how people can act, but he does not know what choices people will make. Thus none of these sages felt that “God actually guides, rewards, and punishes in any normal sense of these terms.” They understand “divine providence” to mean that if people use the intelligence that God gave them, this understanding will guide and protect them, God does not interfere. Maimonides understood that prophecy is a higher level of reasoning, not a supernatural event. However, Professor Kellner writes that Maimonides says that God can intervene and stop prophecy, while Gersonides thought that God cannot stop a person from prophesying if the person is sufficiently developed morally and intellectually. Actually, there are some scholars, such as Joseph ibn Kaspi, who say that when Maimonides wrote that God can stop prophecy, he meant, as he and the rabbis say elsewhere, that no one can prophesy (think) if they are disturbed, distressed, or the like. Maimonides, ibn Kaspi explains, was using the logic in his Guide 2:48, that the Torah ascribes facts to God even when God is not the immediate cause, since God is the ultimate cause: God created the laws of nature. When Maimonides writes that God can stop a wise man from being able to prophesy, he means that a person can be stopped by natural means, such as depression. Thus, Maimonides and Gersonides concur. These two philosophers were victims of their times in regard to women. They were convinced, as Aristotle in his time, that women are inferior to men. However, Maimonides appears to have felt as he did because women were not educated when he lived. He saw no natural differences between men and women. But Gersonides felt that women were intellectually inferior to men by their very nature, they are between animals and men, they are lower in the rung of creatures than male children, they were created to be subservient to men, for their sexual enjoyment, for procreation, and to care for the household. Gersonides seemed to believe in resurrection, which most scholars recognize Maimonides denied, and in a miraculous messiah, while Maimonides stated that the messiah was a future natural leader who would live and die as all other humans. Kellner recognizes that this seems to contradict Gersonides’ natural view concerning miracles, prophecy, and divine providence. However, although Kellner prefers not to accept this answer, it is likely that Gersonides said some things for the sake of the general population even though he did not believe them. Maimonides did so frequently. For example, Maimonides said that he believed in the resurrection of the body and soul, while many scholars recognize that he said this to avoid disturbing the general non-philosophically-minded public. Similarly, Professor Kellner discusses the difficulty of Gersonides maintaining that miracles are natural events while at the same time believing in the miraculous character of Moses’ prophecy and of the divine revelation of the Torah. Is this an inconsistency in Gersonides’ thinking? Shouldn’t we ask the same question of Maimonides? Gersonides rejected the now well-established tradition, first articulated in the third century CE, that there are exactly 613 biblical commandments. He holds that this number is only homiletical, teaching that Jews should obey God’s laws with their entire being (248 organs) every day (about 365 days in the solar calendar). Needless to say, the homily relied on the error of ancient science for the number 248; God, of course, would never make such a mistake. Maimonides did not comment on this issue. He composed his Code of Jewish Law, called Mishneh Torah, where he accepted the number 613, and includes the commands that he understood the rabbis considered biblical commands. In short, Professor Kellner has written a very informative book that introduces Gersonides to the public. He compares him to Maimonides who shared many, but not all of his views. Both had ideas that the general public could not accept. Also some of Gersonides views would bother intellectuals today, such as his statements about women and his idea, like ibn Ezra, but not Maimonides, that astrology is a real science, one that works.